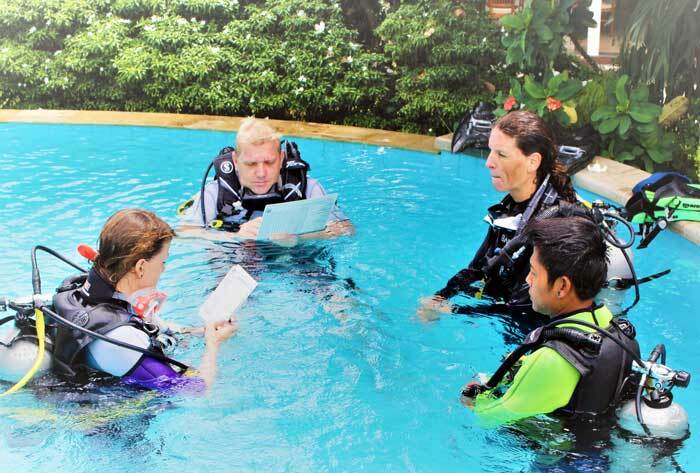 Many dream of turning their hobby into a profession.At SSI, there are the professional levels that start with the dive guide and lead to the instructor trainer. In the courses are different training programs that prepare you for the future work. 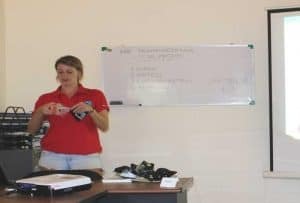 Leading dives and teaching diving are the topics of professional training. 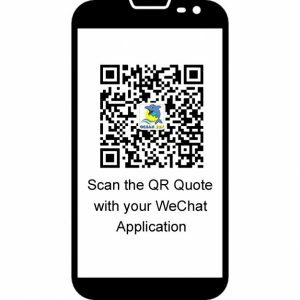 We will familiarize you with the SSI education and business philosophy. One of the most essential components of this training is collecting your own experience which is an important part of becoming a successful instructor. 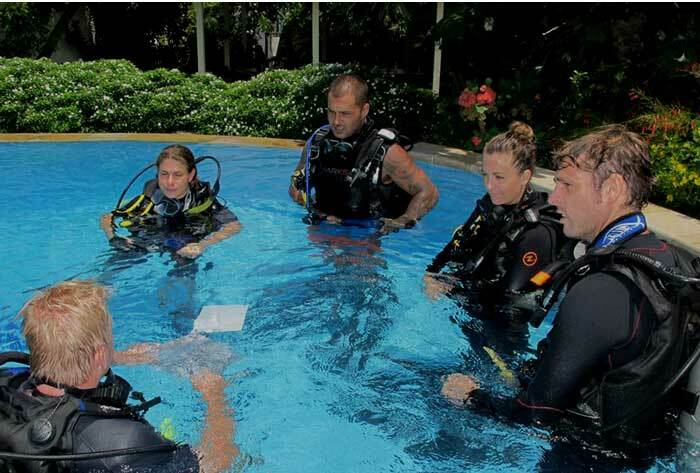 In our resort, we offer all levels from Dive Guide to Dive Control Specialist Instructor. There a pool, a room with multimedia equipment and one of the best diving areas of Bali are available just in front of the resort. You can see how a diving center under real conditions works and you can already get your first experiences. Limited groups or private courses guarantee individual and flexible programs. Many years of experience complete our service and offer you the best conditions for your professional training. 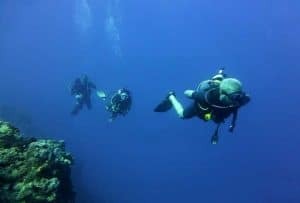 This program gives you the skills and experience required to safely lead groups of certified divers, and is the first step towards an exciting career as an SSI Dive Professional. This course will prepare you lead certified divers underwater. It traines group control techniques and shows you how a SSI divecenter works. 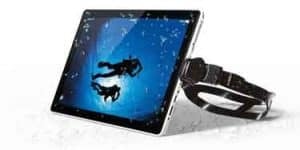 Divemaster will be yours when you complete the Science of Diving Specialty in addition to the Dive Guide Program. This program is the combination of both courses. 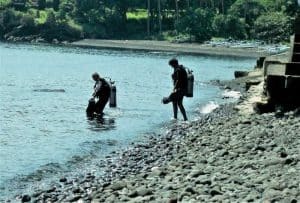 The Science of Diving Specialty gives you an important background knowledge in scuba diving and is easy to combine with the Dive Guide program. The completion of both courses automatically certifies the Divemaster in the SSI training system. This program provides the skills, concepts, and teaching experience required to become an effective SSI Assistant Instructor/Dive Control Specialist. 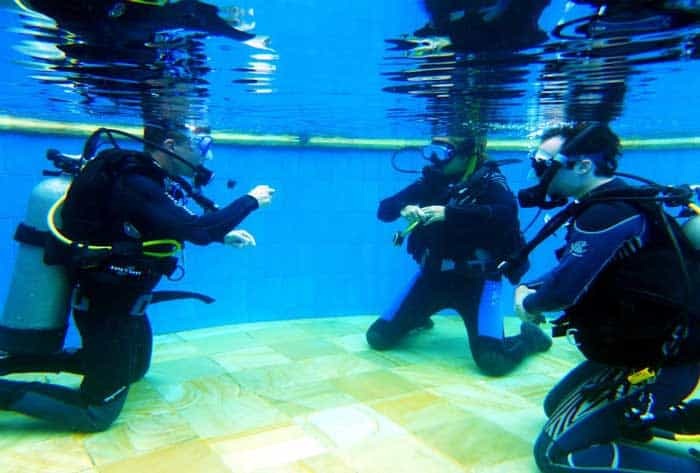 Theory and Pool Presentations are the focus of the training and show you how you can support an instructor at work and prepare yourself to do dive training independently. This program provides candidates with the knowledge, concepts and training necessary to organize and conduct entry-level scuba training. SSI's Instructor Training Course will prepare you well for your career as an instructor at SSI. There is an extensive program focusing on diving education and SSI philosophy with a final exam by Scuba School International Indonesia. 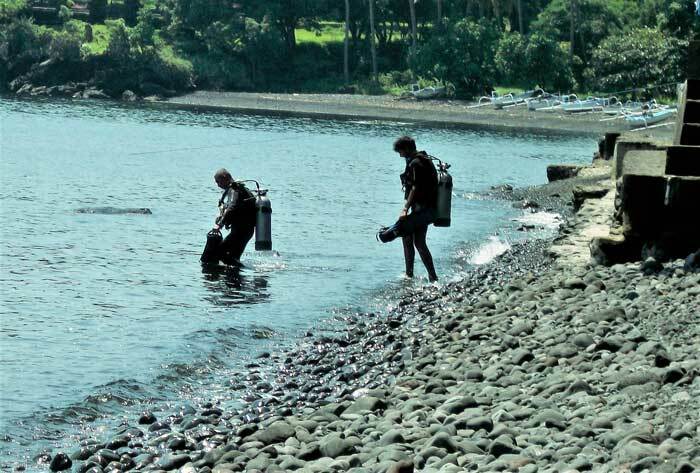 Training in the various activities of diving requires certification as a Specialty Instructor. In short seminars we explain program structure, standards and procedure of the respective specialties. The SSI Dive Guide program is based on many practical applications, background information and flexibility. 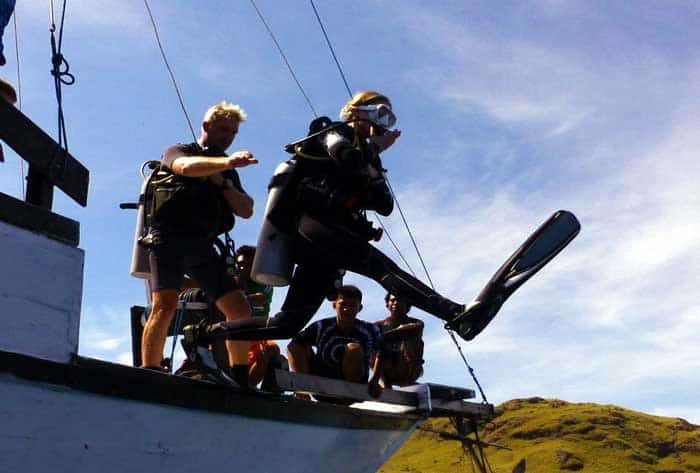 Dive guides in active pro status can conduct dive trips and lead certified divers on their underwater tour. You can teach snorkeling training if you have completed the Snorkeling Instructor program. In the course you will create a dive site map, which will be the base for a dive briefing. In these dives we simulate real diving situations with problems and show how to act in this moment. Not to forget that we offer a service and our customers want to experience something special. Additionally, a pool training, the theory of dive management, group control and an emergency training prepare you well for the future work as a dive guide. In the course you will create a dive site map, which will be the base for a dive briefing. In these dives we simulate real diving situations with problems and show how to act in this moment. Not to forget that we offer a service and our customers want to experience something special. Additionally, a pool training, the theory of dive management, group control and an emergency training prepare you well for the future work as a dive guide. 9 nights in one of our bungalows offer the ideal environment for a relaxed course. The SSI Dive Master program is based on a lot of practical applications, background information and flexibility. 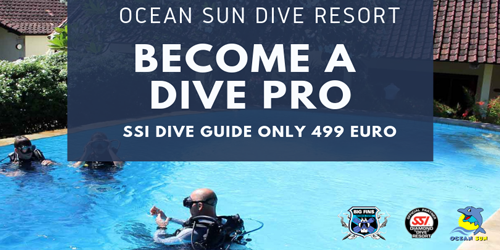 The SSI Dive Guide in Active Pro status, complemented by the SSI Science of Diving Specialty, makes you SSI Divemaster.Dive guides in active pro status can conduct dive trips and lead certified divers on their underwater tour. You can teach snorkeling training if you have completed the Snorkeling Instructor program. In the course you will create a dive site map, which will be the base for a dive briefing. In these dives we simulate real diving situations with problems and show how to act in this moment. 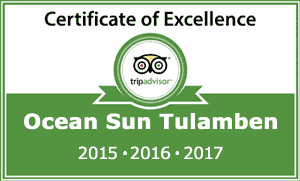 Not to forget that we offer a service and our customers want to experience something special. 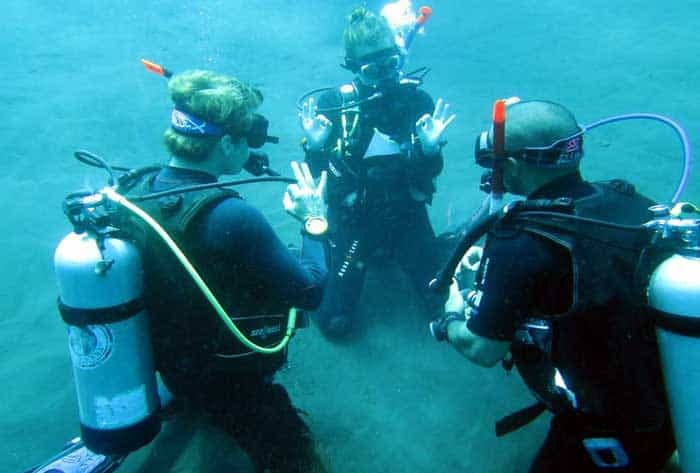 Additionally, a pool training, the theory of dive management, group control and an emergency training prepare you well for the future work as a dive guide. 10 nights in one of our bungalows offer the ideal environment for a relaxed course. With this certification, you can teach the Scuba Skills Update, Snorkeling and Try Scuba programs in the pool. Additionally, there is the possibility to train as a Training Specialist. The Divemaster course of SSI or another training organization is a prerequisite for participation in the program. 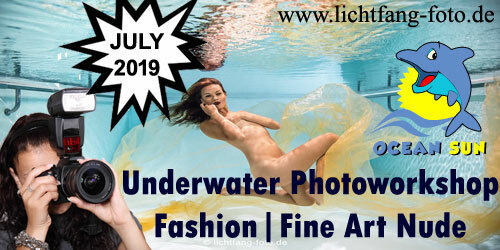 In the course you will present your first theory, pool and open water presentations. Basic exercises of the diving sport are trained until you could demonstrate them in a high quality. In theory, we consider the educational and business philosophy of SSI. So you will be an important assistant for instructors and can help them with the training. An essential step towards the instructor. Basic exercises of the diving sport are trained until you could demonstrate them in a high quality. In theory, we consider the educational and business philosophy of SSI. So you will be an important assistant for instructors and can help them with the training. An essential step towards the instructor. Eight nights in one of our bungalows offer the ideal environment for a relaxed course. The SSI Open Water Instructor is the most important step in the career of a dive professional. This certification entitles you to the training of diving beginners. An Open Water Instructor must inspire and motivate new divers. With appropriate training, he develops the abilities of each single diver and provides correct knowledge of the individual subject areas. Incidentally, you must be a poster child for your dive center, SSI and the entire diving industry. In the Instructor Training Course (ITC) we expand your understanding in sales and industry knowledge.We improve your training skills. You will be trained in professional presentation and sales techniques through workshops and practice applications. A final check by SSI will end this program. Upon successful completion of this evaluation, you will obtain the Open Water Instructor certification and may start your career as an instructor. In the Instructor Training Course (ITC) we expand your understanding in sales and industry knowledge.We improve your training skills. You will be trained in professional presentation and sales techniques through workshops and practice applications. A final check by SSI will end this program. Upon successful completion of this evaluation, you will obtain the Open Water Instructor certification and may start your career as an instructor. Nine nights in one of our bungalows offer the ideal environment for a relaxed course. 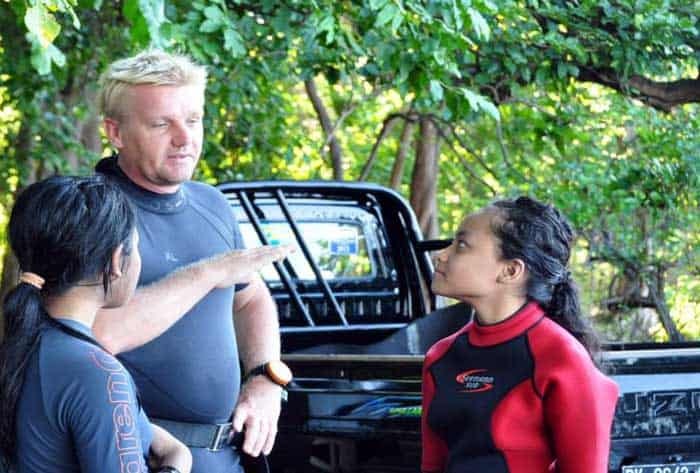 You are already an active dive instructor or divemaster of a recognized dive organization and know how to train divers? 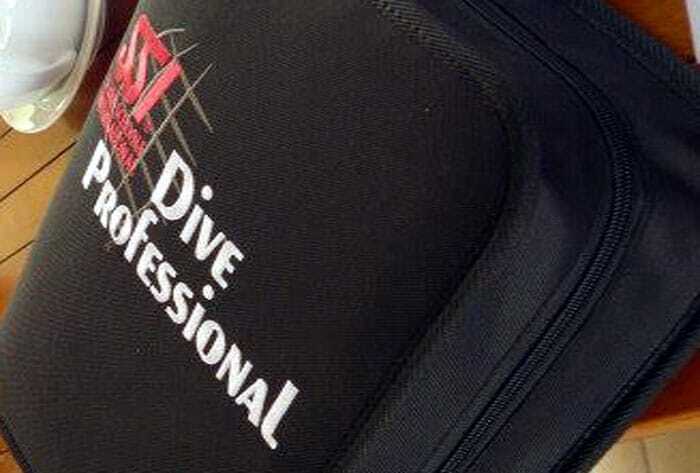 An easy program gives you the opportunity to become an active SSI dive professional. The SSI Crossover Program was developed to explain the SSI system and identify the differences with other diving education organizations. A workshop with the website and the SSI application has become an essential part of this program because of SSI‘s digital advances in recent years. A short written evaluation completes this one-day course. The SSI Dive Professional Crossover program automatically qualifies you for the levels in the SSI system that you can train with your existing organizations. So you can immediately expand your career with SSI after the successful completion! As an Open Water Instructor, you can qualify for Specialty Instructor levels through a Specialty Instructor Seminar or Co-Teaching. These simple and short programs will teach you how to plan and execute specialties. We show you exercises and explain the manuals and the standards for the respective specialties. 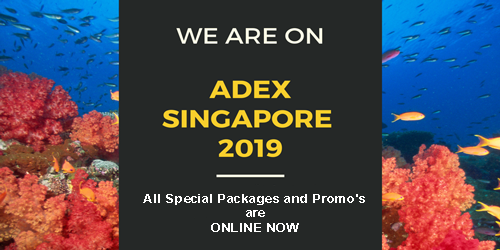 Available programs include Deep, Nitrox, Perfect Buoyancy, Search & Recovery, Navigation, Wreck, Photography, Sidemount Diving, Independent Diving, Night Diving, Fish Identification, Boat Diving, Drift Diving, Equipment Engineering, Computers, Science of Diving, Scuba Ranger and Shark Ecology.